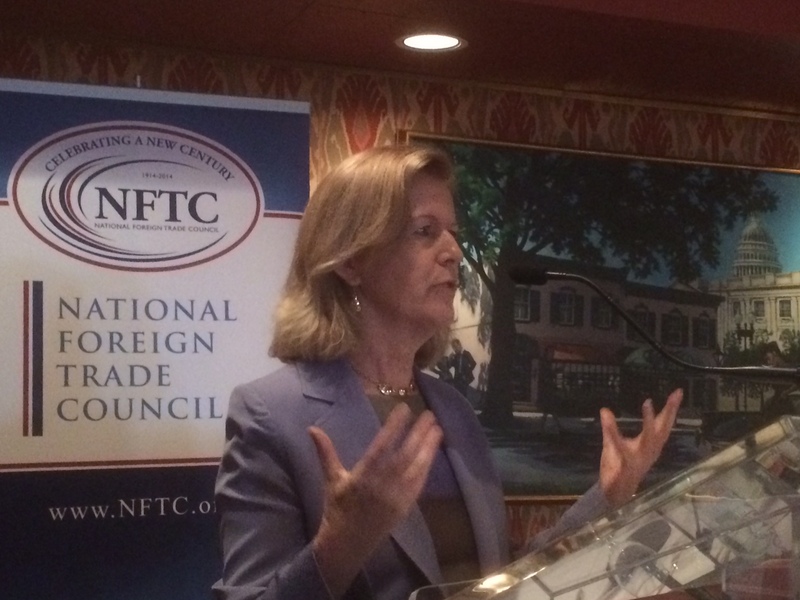 The Irish economy is on the rebound according to recent news reports, and Ireland’s Ambassador to the U.S. Anne Anderson was only to happy to talk about it during a National Foreign Trade Council forum here in Washington. Here’s my coverage in the Washington Business Journal. Anderson would not be drawn out on the potential economic impact to Ireland if Scotland votes for independence. She also declined to speculate about the possibility of a reunification vote with Northern Ireland within the next decade. This entry was posted in Business & Environment, Politics and tagged Anne Anderson on September 18, 2014 by admin.